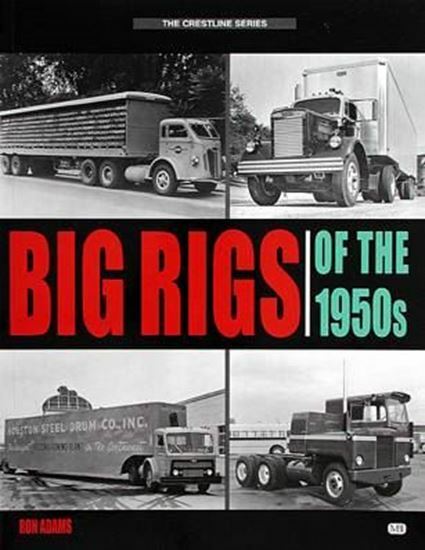 This marque-by-marque photo collection provides a comprehensive and nostalgic look back at the rapid development of tractor-trailer rigs which resulted during the decade of Ike and tailfins. Manufacturers like GMC, Chevrolet, Ford, Dodge, White, Freightliner, Peterbilt, Kenworth, Diamond T, International, Mack, Autocar, Brockway, Sterling and more are shown hauling everything from Cadillacs to cabbage across town, up the coast and over mountain passes. Thorough captions describe the development and history of each model depicted in archival black-and-white and period color photography.